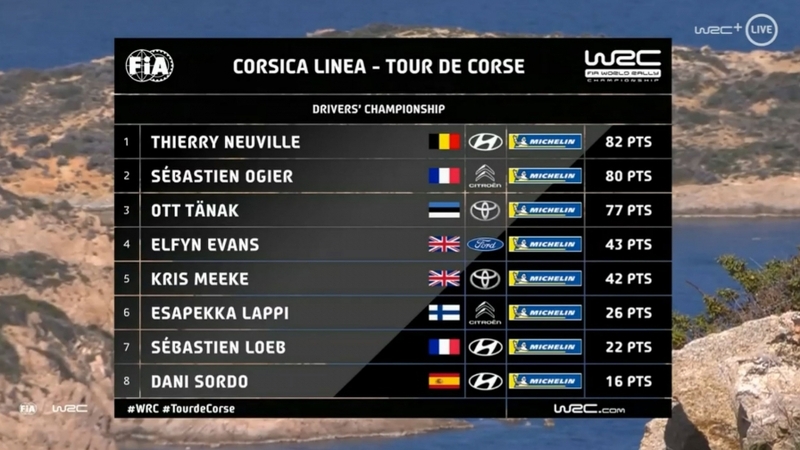 Neuville, driving a Hyundai i20, conceded his overnight lead to Evans in the opening speed test, but a final stage puncture for the Ford Fiesta driver handed the advantage back to the Belgian. 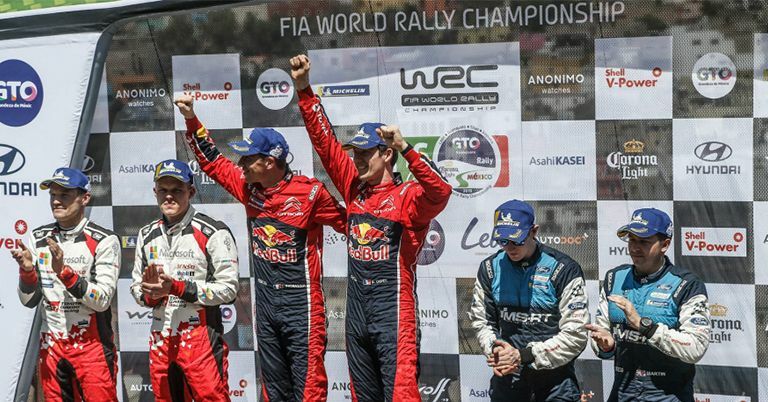 Neuville finished 40.3sec clear of Sébastien Ogier, in a Citroën C3, to take the lead of the FIA World Rally Championship after four of the 14 rounds. 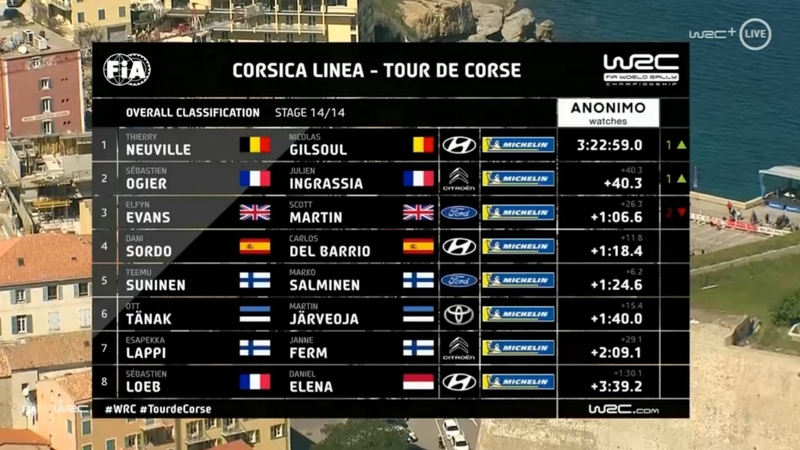 Evans limped home in third, a further 26.3sec back. 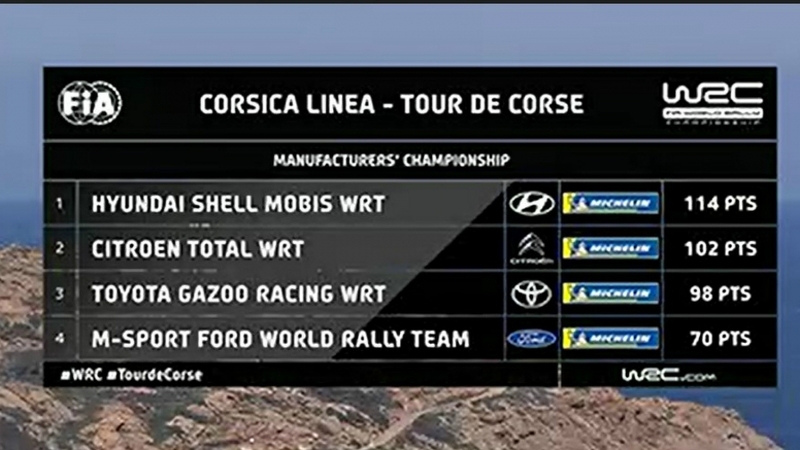 Kris Meeke won the live TV Wolf Power Stage in a Toyota Yaris to claim five bonus points. Team-mate Ott Tänak scored four in second with Teemu Suninen, driving a Ford Fiesta, claiming three points in third. 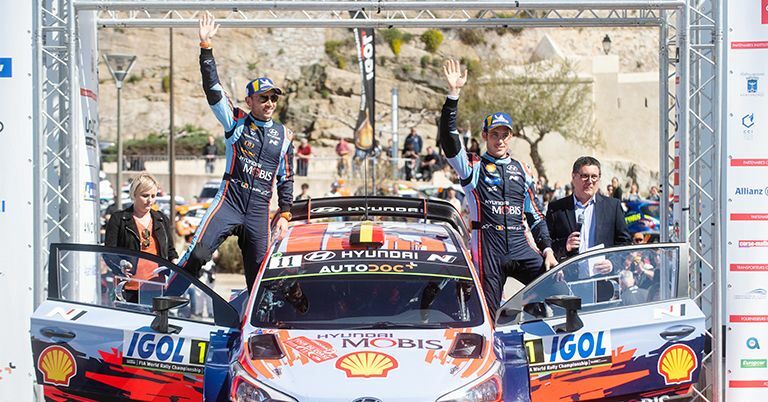 Neuville and Ogier took two and one point respectively.